by 1979 she had established her own london-based practice, and gained a global reputation for her ground-breaking theoretical works, often inspired by russian constructivism. 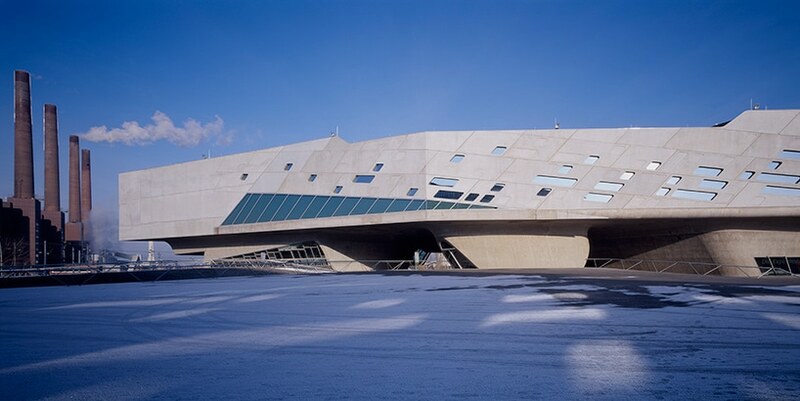 below, we present a timeline of zaha’s most recognizable works — past, present, and future. 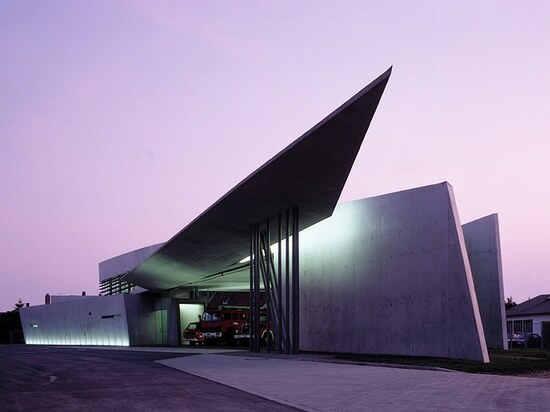 zaha hadid’s first major built work, one that affirmed her international recognition, was the vitra fire station in weil am rhein, germany (1993). the structure was originally used as a fire house, but now serves as a space for exhibits and events, and continues to be a highlight of contemporary architecture on the campus. 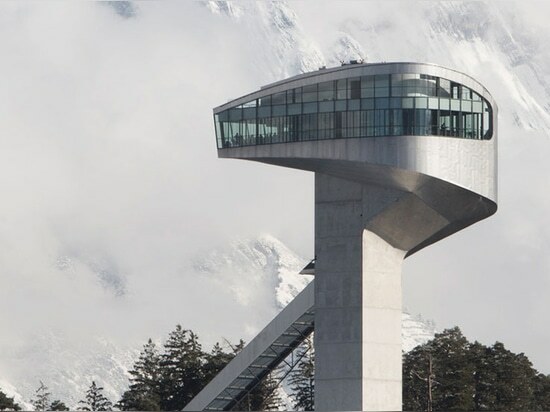 zaha hadid’s 2002 project on bergisel mountains contains a ski ramp and sports facilities, alongside public spaces that include a tower-top café and viewing terrace. 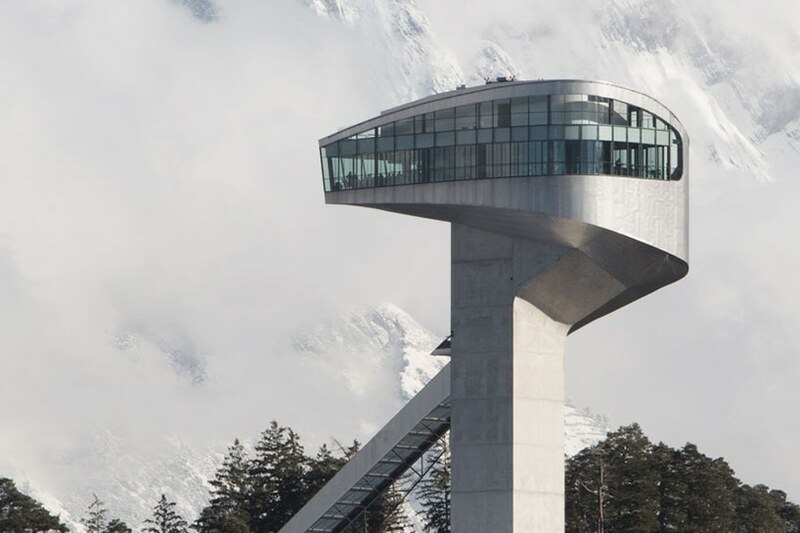 rising to a height of almost 50 meters, the structure’s distinctive form and silhouette extends the topography of the ski slopes into the alpine sky above. 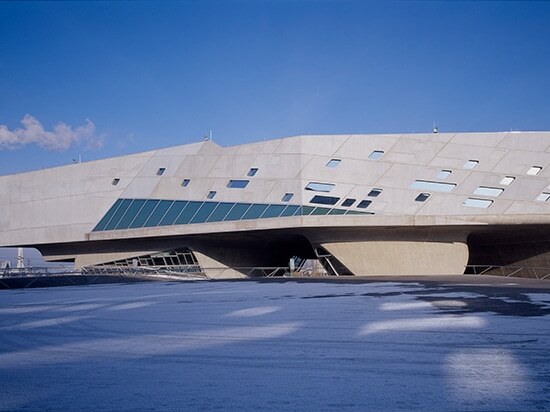 from a pool of 25 international architecture firms, BMW chose hadid’s proposal as the final piece of its plant in leipzig, germany. conceived as a series of overlapping and interconnecting levels, hadid’s design blurs the separation between different parts of the complex, and creates a level ground for employees, visitors, and cars. 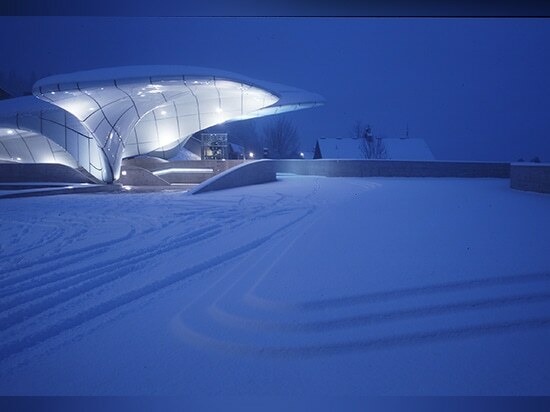 in 2007, a unique architectural language of natural ice formations inspired a series of stations along innsbruck’s northern chain of mountains. lightweight organic roof structures float on concrete plinths, their soft shapes and contours creating an artificial landscape that describes the movement and circulation within. rome’s ‘MAXXI national museum of XXI century art’ opened in 2009, and was subsequently awarded the 2010 stirling prize. 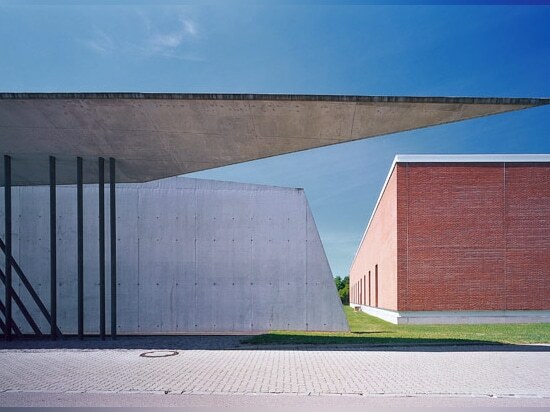 an external pedestrian path follows the shape of the building, slipping below its cantilevered volumes, which open onto a large plaza. inside, a full height atrium leads to the museum’s reception spaces, cafeteria, bookshop, auditorium, and galleries that host rotating displays. materials such as glass, steel and concrete lend the exhibition spaces a neutral appearance, while moveable panels ensure flexible exhibition layouts. the guangzhou opera house opened in guangdong, china in 2010. featuring two separate forms that seem to piece together, the project serves as a gateway to the city, enhancing urban functions and opening access to the nearby river and docks. combining cultural traditions with a contemporary approach, the structure is a catalyst for new cultural initiatives in the area. located in the heart of the city’s cultural district, the faceted glass, concrete and steel building provides a visual connection to the neighboring pearl river. the evelyn grace academy in brixton, london seeks to both broaden educational diversity and augment the built environment in a predominantly residential area. the building presents itself as an open, transparent and welcoming addition to the community’s local urban regeneration process and was awarded the stirling prize in 2011.
construction of the aquatics centre was completed a year before london’s 2012 olympic games. capable of holding 17,500 individuals, the facility was the venue for the swimming, diving, synchronized swimming and water polo events. 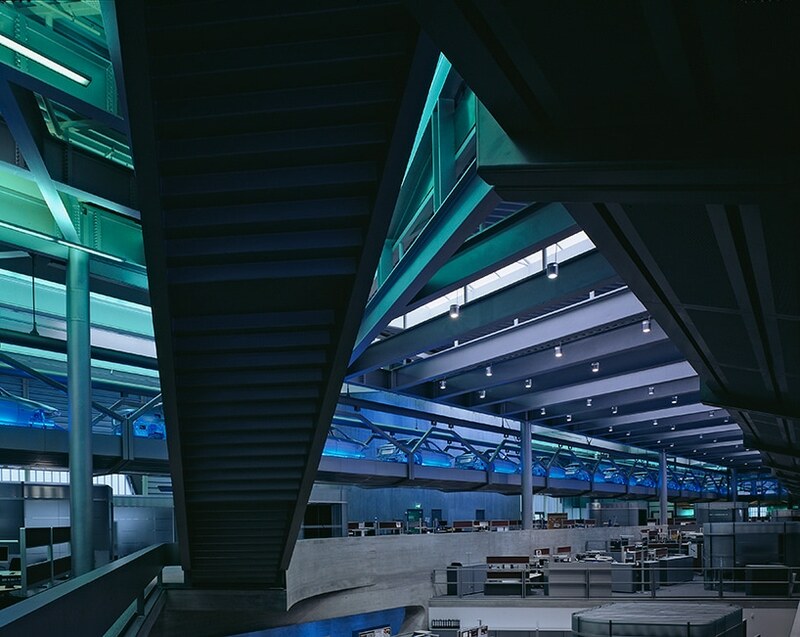 the building comprises an aluminum-clad steel roof which spans 160 meters in length and 90 meters at its widest point. three substantial concrete columns support the 3,000 ton overhead structure. the galaxy soho project is a 330,000-square meter office, retail and entertainment complex, inspired by the grand scale of beijing. its architecture is a composition of five continuous, flowing volumes that are set apart, fused or linked by stretched bridges. these components adapt to each other in all directions, generating a panoramic architecture without corners or abrupt transitions that break the fluidity of its formal composition. in september 2013, the serpentine sackler gallery opened to the public. the renovation project saw the transformation of a former 1805 gunpowder store positioned a short seven-minute walk from the serpentine gallery on the north side of the serpentine bridge. the institution’s second exhibition space in kensington gardens includes an additional gallery, restaurant and social zone, and has become a vibrant cultural destination. in 2013, ZHA finalized construction of the hong kong polytechnic university’s ‘jockey club innovation tower’ — a 15-storey structure that accommodates up to 1,800 students and staff per day. the project, hadid’s first permanent building in hong kong, reinterprets the orthodox typology of a multi-story building, establishing a series of fluid and connected volumes in constant dialogue with each another. in 2007, zaha hadid architects won a competition to develop the ‘heydar aliyev center‘ in the city of baku, azerbaijan. now complete, the scheme stands as the country’s primary building for hosting the former soviet nation’s cultural programs. in realizing the majestic structure, zaha hadid employed a sinuous geometry that sets it apart from the city’s typically rigid and monumental architecture. seoul’s ‘dongdaemun design park & plaza‘ (DDP) opened its doors to the public in march 2014, seven years after hadid floated initial plans for the project. the scheme, developed by the seoul metropolitan government, introduces the latest and most innovative design trends, establishing a lively cultural hub of public congregation that promotes fluid thinking across creative disciplines. 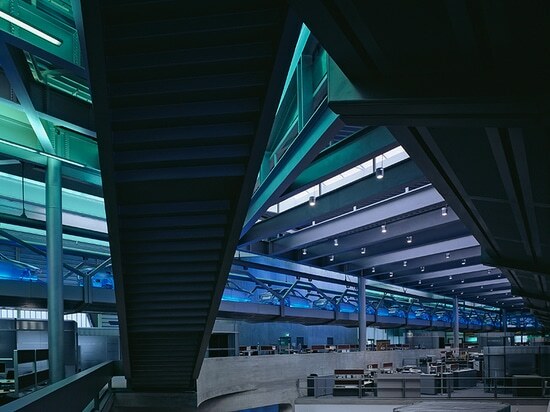 following an international competition held in 2013, bee’ah – a leading middle eastern environmental and waste management company – commissioned zaha hadid to build its new headquarters. located in sharjah, one of the united arab emirates’ largest urban centers, the sweeping design will contain educational facilities and exhibition spaces, enabling the company to further its engagement with both local and international audiences. last year, zaha hadid revealed plans for two 44-storey towers to be built along australia’s gold coast. subject to development approval, ‘mariner’s cove’ will combine 370 high-rise living units with the region’s first privately-owned cultural precinct, featuring an art gallery, museum, and outdoor sculptural gardens overlooking the broadwater. after an international competition, zaha hadid architects was chosen to construct the danjiang bridge — an entirely new crossing that will span the tamsui river in taiwan. working alongside bridge specialists leonhardt, andrä und partner, hadid’s design is located at the mouth of one of taiwan’s largest rivers, and will serve as a key part of the region’s upgraded infrastructure.